You are here: Home › Giveaways! › Freshly Picked Moccasins & Giveaway! Stylish,Modern,and Chic are some of the best words to describe these cute moccasins, they come in different prints,colors and sizes. I love a good shoe that can match every outfit so I decided on Ivory and Ebony for baby girl’s first pairs. 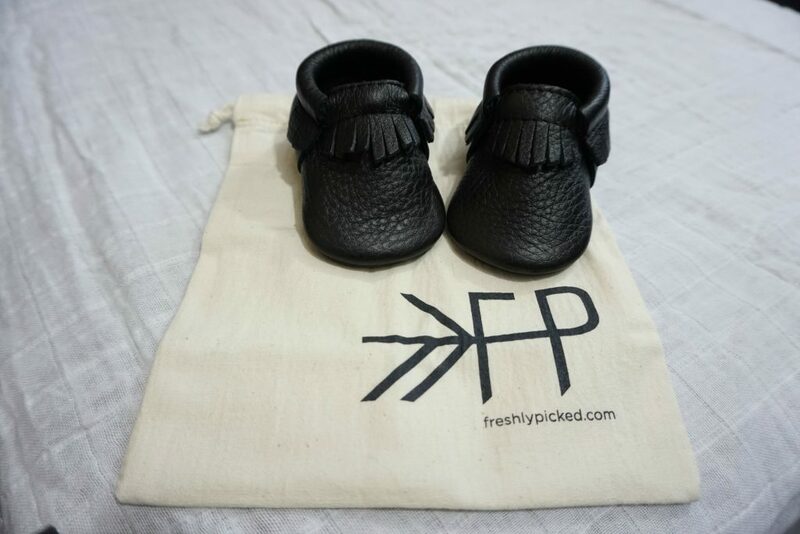 I’ve partnered up with Freshly Picked to give one of you a chance to win your very own pair of soft sole moccasins! Please note, in order to enter, you may not have won any other giveaway including a pair of FP moccs within the last 60 days. 6 Responses to "Freshly Picked Moccasins & Giveaway!" Thanks for the awesome giveaway! Would love to win a pair for our little girl!!! I’ve been dying to try these! Baby boy will be here soon and I can’t wait to dress him with freshly picked moccasins. They’re super cute and great for first walking shoes. Ahh these are so cute! Would love to win! Great giveaway! These would be so amazing to have.